Happy New Year! I wish you all the best for this year. This Avatar: The Last Airbender art is for a poster and bookmark that will promote reading in libraries. 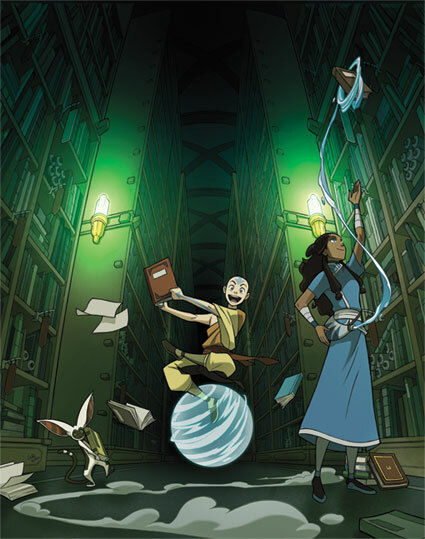 Aang and Katara based on the designs from "The Promise". 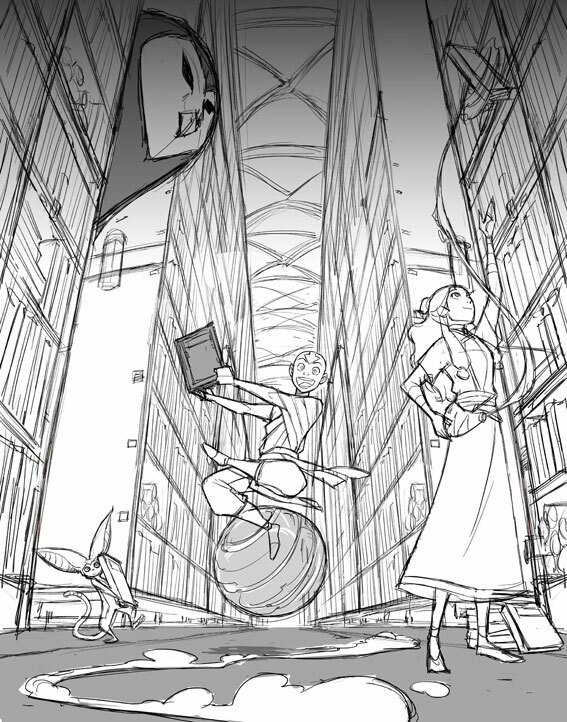 Inside Wan Shi Tong's Library, the shelves of books appear to extend into infinity in the background. 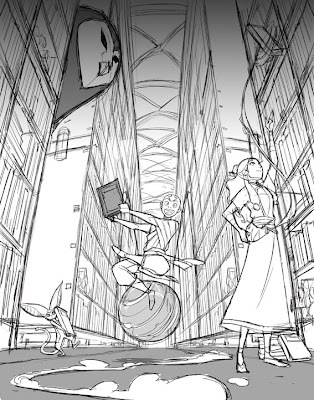 My first sketch idea had Wan Shi Tong's Library's owl at the upper left hand. But since letter "Reading is mind-bending!" was print to the upper part of a poster, we had to take it off. I hope that book doesn't get wet. Nice post,, I like your blog so much..
marsella- Thanks! Happy new year to you, too. darmayoga- Thanks for stopping by my blog. Wan Shi Tong IS the owl, so saying Wan Shi Tong's Library's owl is incredibly long an unnecessary. Sorry to nitpick, it just bugged me, great art though! OMG it's great. but her in my contry (El Salvador) the library is named "wa shing ton" like the US State. hahaha, seems that colombian were wrong by translating... Nice blog. I personally thought the owl was a nice touch. A looming guardian figure, almost friendly and welcoming and fatherly, that was what I saw in your sketch. I wish he could have been kept! I love your work, keep it up!